First off, I would like to thank M F Husain, rightfully called the Picasso of India, for letting me capture images of him at work. At 97, he is peerless. He has this fantastic work ethic that I admire and feel jealous about. It is usual to see him start work at 5:00 AM on most days. I was privileged to watch him work on “Their Colors Are Qatari”, an event that brought ten resident Qatari artists to work under a single roof in the very-retro-and-chic Souq Waqif. 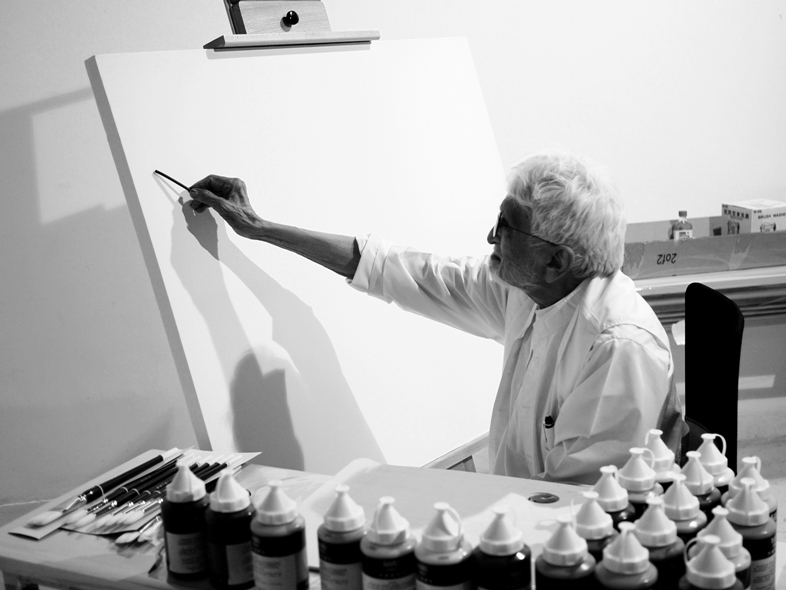 Husain is an abstract artist and once the vision has developed in his mind it is all there on the canvas within a few short hours. In all its blazing colors. This photo was shot at the very moment a ‘vision’ started leaving his mind, and through his hands, moved to the canvas. After all, art has life! Loved ur timing of capturing the Art of the Master of Art ! I can c a another great artist in the making in U.